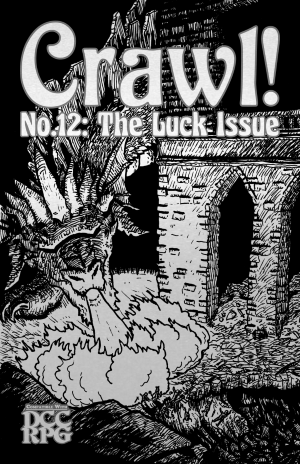 Something about the do-it-yourself nature of Dungeon Crawl Classics has led to a plethora of zines. 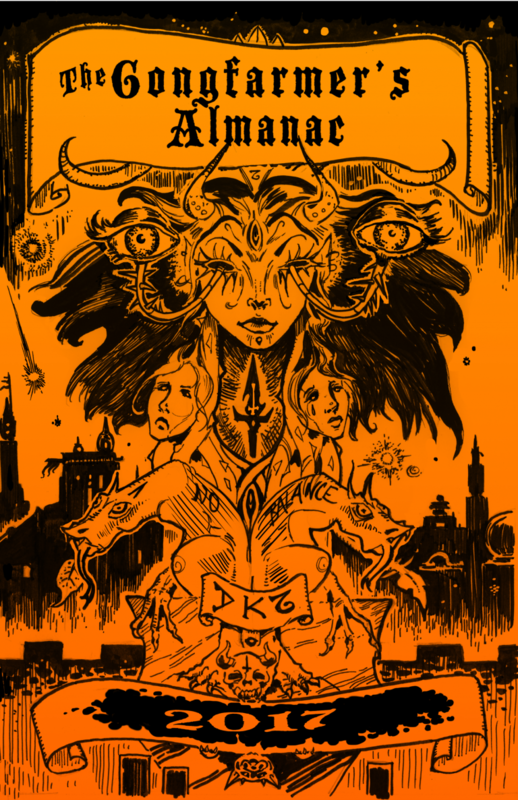 Whether they are old or new, have put out many issues or few, these zines provide insights into their creator’s visions for that multi-faceted jewel which is DCC RPG. The great-grandaddy of them all, Crawl! Fanzine, came out in May of 2012, hot on the heels of the game itself. Crawl! 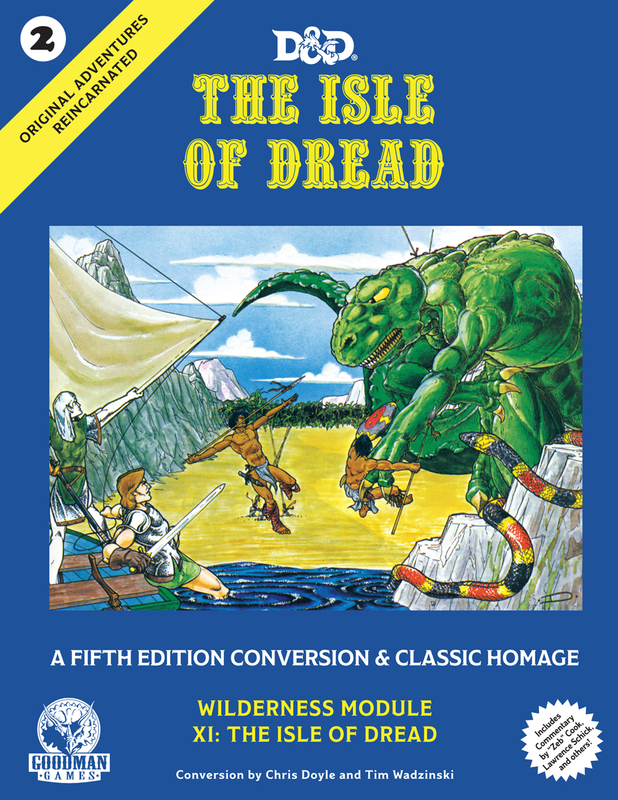 has twelve issues with diverse contents, including the first non-core patron, the first non-core spell, the first adventure with a dragon, and rules for firearms that went on to influence other DCC RPG settings. Nor is Crawl! the granddaddy of the DCC zine scene merely from being first; several other zine creators cite Crawl!’s Reverend Dak Ultimak as a source of direct guidance and inspiration. 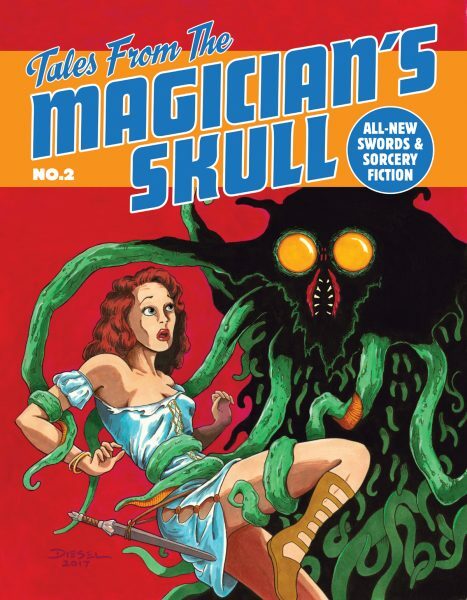 In January of 2014, the first issue of Metal Gods of Ur-Hadad appeared, a zine by Adam Muskiewicz, Edgar Johnson, and Wayne Snyder that reveled in the metal aspects of Dungeon Crawl Classics. The zine centers around Ur-Hadad, the first city, which predates human occupation. Each of the three available issues contains a kit that aids the judge in designing an adventure. 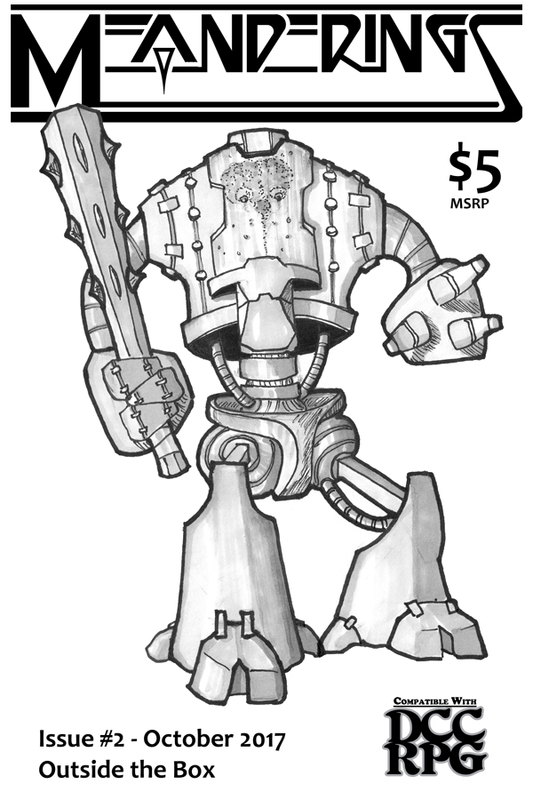 Tim Callahan’s Crawljammer became available in February 2014, giving players and judges all the tools they might need to take their Dungeon Crawl Classics campaigns to the stars. Although there is a clear nod to another fantasy-in-space setting, Crawljammer is its own thing, with roots deep in the planetary romances of Appendix N.
Later in 2014, a friend showed Reid San Filippo the Crawl! 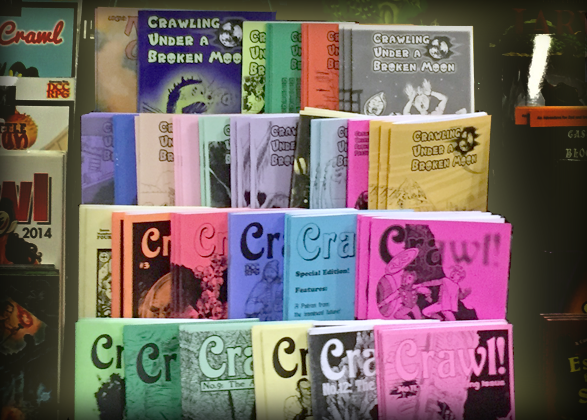 and Crawljammer zines. As Reid was already considering using DCC RPG to create a campaign inspired by Thundarr the Barbarian, Crawling Under a Broken Moon was born. Reid cites Rev Dak and Tim Callahan as being extremely helpful in the logistics of creating a zine: size, postage, printing, folding, and so on. 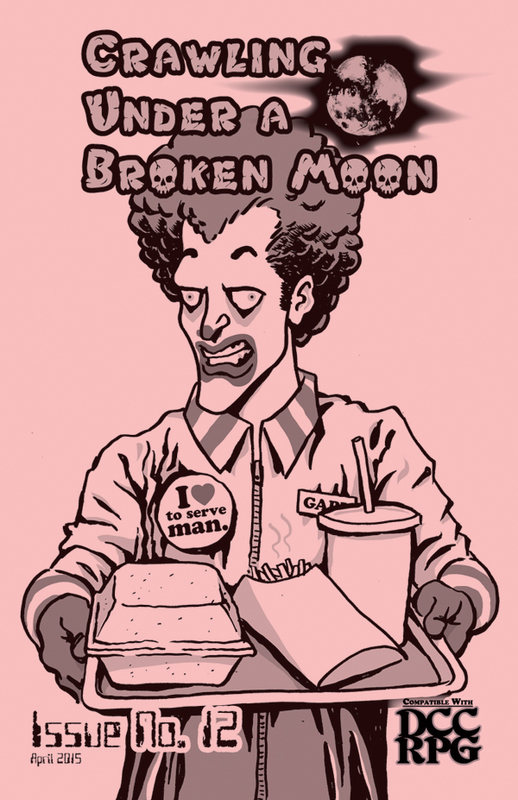 Crawling Under a Broken Moon has an incredible 18 issues under its belt at the time of this writing, and led directly to the successful Umerican Survival Guide kickstarter! 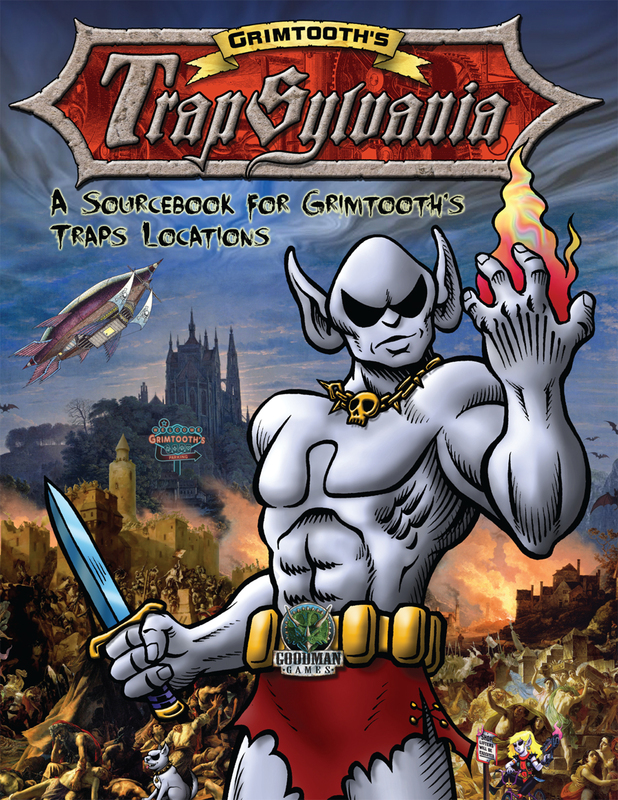 Terra Frank’s Dungeon Lord made its first appearance in 2014 at the Albuquerque Zine Fest, but was updated to Dungeon Crawl Classics for Gary Con 2015. This zine focuses on minimalistic dungeon adventures, but has also included interviews and poetry. 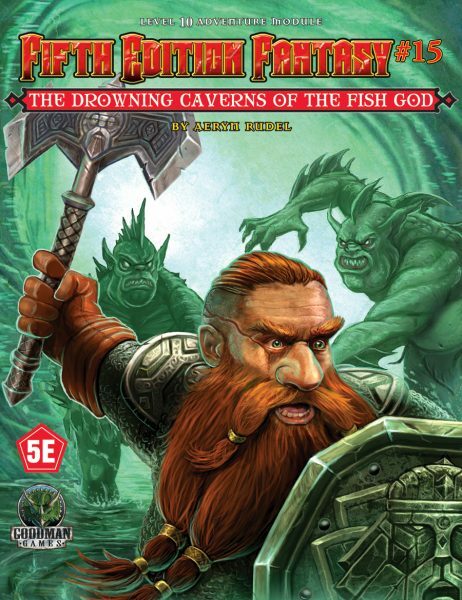 As an early adopter of Dungeon Crawl Classics, Carl Bussler started work on his third-party funnel adventure, The Well of Souls. Eric Hoffman was one of the first round play-testers, and they decided to create a zine together. There was some discussion of other zines, as neither Carl nor Eric wanted to cover the same ground being developed by other zines. 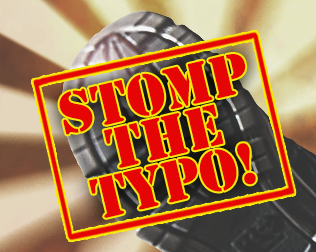 The result is the first Weird Western product for DCC RPG. The name of their zine, Black Powder, Black Magic, was borrowed from fiction Carl had written, with Eric’s wholehearted approval. 2015 also saw the first year of the Gongfarmer’s Almanac, a project that has only gotten stronger with each subsequent year. The Almanac is a community-produced zine created under the creative vision and direction of several DCC luminaries, including Doug Kovacs, Harley Stroh, and Jon Hershberger (others vary by year). This zine is made available at cost (which means pdfs are free), using community-donated writing and artwork. The Gongfarmer’s Almanac has included new classes, new adventures, rules options, and even support for other settings, such as Crawljammer. The 2017 edition included the overarching theme of the ever-changing lands of Pandemonium, an extraplanar setting suitable for any level of play. Of particular importance to those interested in DCC zines, Jon Hershberger began to index the various DCC zines in 2015. When compiling this brief history, I relied on hand-produced, multi-issue products to define as zines. Jon is a bit more generous, so his index includes the only full-fledged Dungeon Crawl Classics magazine at this time (D.A.M.N.) as well as one-shot products (such as Prayers of the Forgotten). The resultant indexes are extremely helpful to the harried judge trying to put his finger on a specific monster, spell, class, etc. No new zines were added in 2016, but 2017 was another good year for the Dungeon Crawl Classics zine scene. 2016 saw the publication of Issue 1 of The Cities Zorathi, two issues of Meanderings, and the first issue of Caveiera Velha. The Cities Zorathi is a vehicle Duncan McPhedran’s three-city campaign setting. The first issue includes a full patron write-up, as well as an overview of the Cities Zorathi. 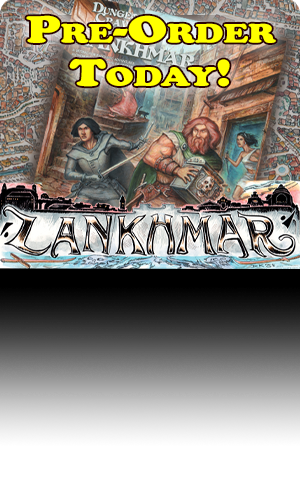 Meanderings also focuses on a campaign setting, that of R.S. Tilton’s Bastion. Once more, the author cites the opportunity to hang out with Rev. Dak as a specific impetus to the zine’s creation. Bastion seems to straddle the line between Dungeon Crawl Classics and Mutant Crawl Classics, and the author is actually planning another zine, Meandering Across the Radlands, as a MCC-compatible quarterly. Finally, Caveiera Velha is the first Brazilian DCC RPG zine I have come across. Although it is written entirely in Portuguese, I am hopeful that an English-translation will appear. Creator Diogo Nogueira cites how the zines bring personality to the game as a driving factor in Caveira Velha’s creation. The do-it-yourself spirit inherent in these zines is something the zine’s creators hope to bring to Brazil. For those of you who are interested, Caveiera Velha translates to Old Skull. When I was contacting zine creators before penning this article, Carl Bussler noted that zines “were hot.” And he was right. RPG zines are hot, at least among that segment of the hobby that embraces player and judge initiative. As Dungeon Crawl Classics heads into its sixth year, we can look back at the amazing outpouring of creative energy that these zines represent. We also look forward to future issues of established zines, and the emergence of new ones. 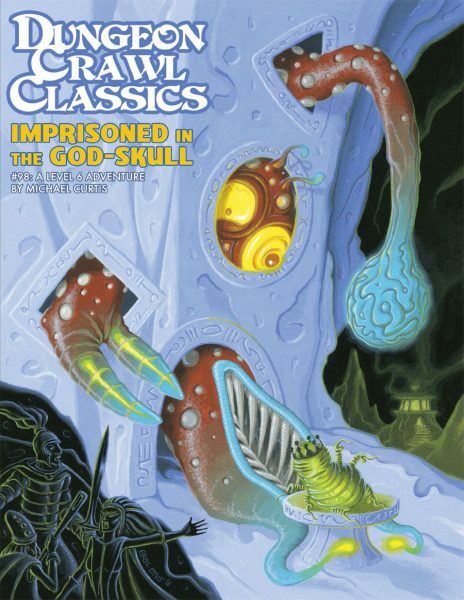 Dungeon Crawl Classics bends to the needs of the judge and the players. No two campaigns are going to be exactly the same. No two judges will have precisely the same vision. If you have the drive to produce your own zine, there are people in this community willing to share their passion and experience with you. And there is certainly a potential audience out there.